These flower girls were hilarious all day, but this is especially funny. 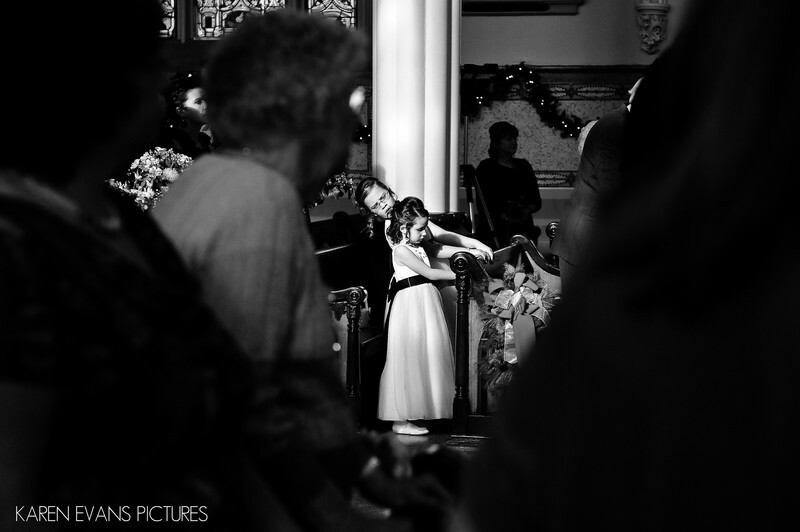 Shooting from across the sanctuary, I spotted one girl checking out the hair on the other, and the look on her face is priceless. That's the nice thing about a longer ceremony - I have more time to scout the guests for interesting behavior!Keywords: st peters cathedral canton (9).